Best of all, these two things are two of my favourite bikey things, alongside my bike; gloves and helmets. I can't even count how many of each I have had over my 25+ years of riding. I have more than three helmets I can think of off the top of my head, and countless pairs of gloves for different riding conditions. But none of them have built-in techno gadgets. Yet. I currently wear a Shoei GT-Air and it is close on the perfect helmet in my view (I love a pun). It's light, super quiet and extremely well ventilated as you would expect with a name like Air. 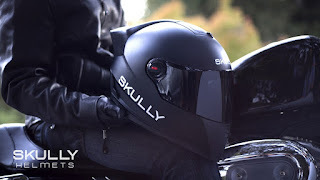 It has an excellent built-in visor which is both practical and sleek-looking, a pinlock anti-fog visor included in the purchase and I reckon looks pretty bloody snappy. There are two pairs I wear the most. Sizes are the biggest struggle for me with gloves. Mine range from XL to 3XL which is strange, but lets just say that I have the hands of a pianist. 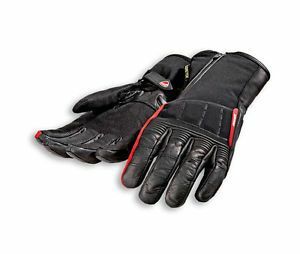 My favourite pair is a set of Ducati branded Dianese gore-tex 'performance' gloves. They cost a pretty penny (I scored em in Summer on sale) but have been the best gloves I have ever owned. They are waterproof, come up over your wrist without being cumbersome, have screen wiping bits built into the fingertips, perfect for that wipe-at-the-lights in Melbourne's weather. Until now, they have been my favourite things that is. So I never bought into the whole reevu helmet thing and I don't know why. Perhaps it was just too little tech to be appealing? I don't know but for whatever reason I just didn't really care for them. 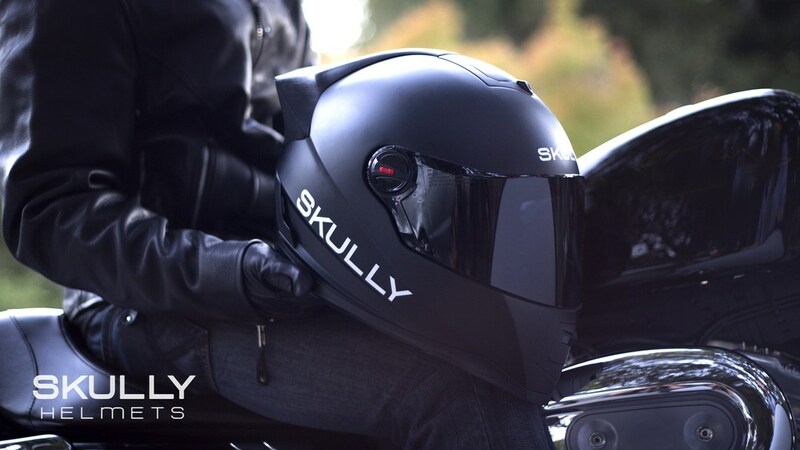 This however, the Skully P1 Head Up display helmet has my heart beating a bit too fast for some reason. I think it's the whole Iron Man Jarvis thing. If they can pull this off and it's truly awesome to use and not to heavy, they will be shipping one to me ASAP. I signed up to be a beta-tester but I doubt that will extend to Australia, in fact it might take a while to get to us here with our standards for helmets. Usual story. At first this sounds ridiculous. Controls built into your fingertips so you can control your bluetooth paired smart phone. But after a while of thinking about it and simulating how that might work in non-enabled pair of ordinary gloves I can see how this would work and I like it. They have really nailed the design including two interchangeable (optional purchases of course) modules for the gloves to control - a Bluetooth Wireless Sync Module to sync with your phone and a Camera Module to sync with a GoPro! Awesome right? I reckon once you got used to the controls, it would be an awesome way to control your GoPro on longer rides to conserve battery life. Topping out at $415 for both modules and a pair of gloves it's an expensive bit of kit but I reckon paired with the Skully Helmet or your phone with a decent pair of inner ear plugs it'd be worth it. In a Tron kinda way. So tempting. Must not press Buy Now, must resist... Until next time, stay upright.